A hand pressed, all-beef patty, topped with white cheddar cheese, sesame mayo, pickled shallots and crushed pork rinds, served in between two pink waffle buns. A spiced chickpea, corn and cilantro patty, topped with a cilantro-lime sauce, pickled pineapple slices and fresh alfalfa sprouts, served in between two lavender-coloured waffle buns. Freshly popped kernels, drizzled with extra virgin olive oil and tossed with our special Burger Pawty BBQ spice blend. 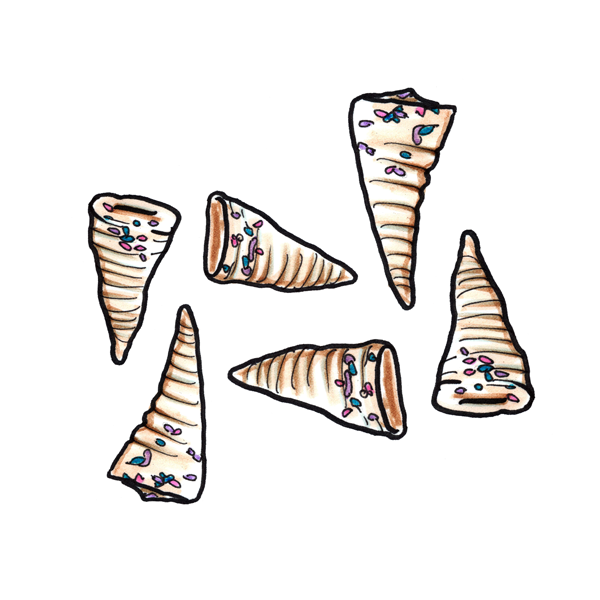 Original Bugles, drizzled with melted white chocolate, tossed in a mix of funfetti cake powder and sprinkles. No mythical creatures were harmed in the making of this product. p.s. Custom water bottles are available for your next event - inquire for more info! Two funfetti cake waffles, topped with a fluff of pink cotton candy, served with a side of pink syrup. A pink waffle s'more - complete with a milk chocolate square, toasted marshmallow whip and a special mix of crushed graham crackers and sprinkles. Burger Pawty's new and revamped Barbie box is now made with a lightweight cardboard and can be customized to fit the theme of your event. BUT WAIT, THERE'S MORE! Burger Pawty caters your special events! 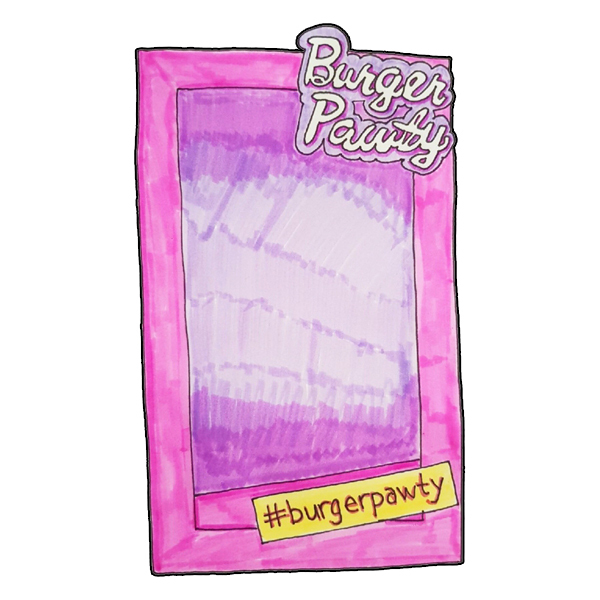 Email yay@burgerpawty.com for a complete price list. Illustrations on this page via Aleks Draws.